DION PRICE INTERVIEWS W/ PARLE’ MAGAZINE | Moves MGT. Born in Chicago, IL but residing in Detroit, MI, newcomer Dion Price brings a new brand of music to his fans. 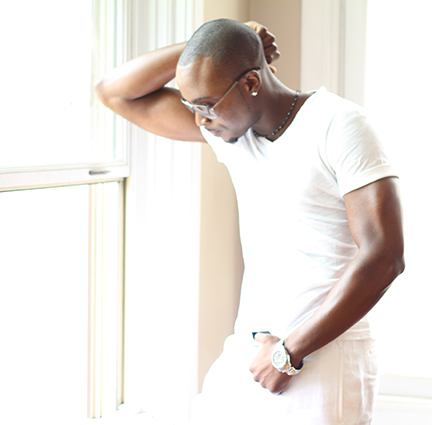 Dion uses his unique vocal abilities and creative mindset to fuse together R&B and Pop music. Now signed to independent label, Grand Slamm Records, Dion has huge hopes to bring his dream to the world. With his official single set to be released on May 12th, the buzz is just beginning to build. Parlé Magazine had a chance to catch up with this rising star to discuss his career, his music and his plans for the future. Parlé Magazine: When did you first discover you had a knack for music? Dion Price: Music has always been a part of my life. I got into music as a kid, I remember my dad would sing around the house when I was just a baby. My love with music grew from there and as I got older I wanted to learn how to make music so I trained musically all throughout high school. After I graduated I started going on this musical journey, writing and creating my own stuff and about two years into that journey I got signed to Grand Slamm Records and it’s been 3 years since I’ve been signed. Parlé: How would you describe your music to those unfamiliar with your style? Price: I try not to compare myself to others but I know someone’s going to say I sound like so and so. I just try to do my own thing and I hope the people can feel it when they listen to my music. When you put on a Dion Price record, it’s always a good time. You can expect a message and to feel good. It’s something everyone can feel on some level and you don’t have to feel guilty about listening to it because it’s enjoyable and relatable. Parlé: Can you tell us about your new single “Down”? Price: I’m doing a project with a friend of mine in the camp that I work with, Samuel Shabazz. We’ve been working together for a while and he’s family to me. We were just vibin’ out one day talking about relationships, life and our perspective on things during that chill out session we made a lot of records and “Down” just happened to be the first record in the story we have to tell. Parlé: Will there be a continuation to “Down” like a part 2 to this single to give the listeners more about the story you’re trying to tell? Price: Absolutely but I don’t want to spin it as a continuation, I just want people to catch on to it as they listen. Once “Down” is released, we’re going to drop another compilation with the other songs that are related to it. Parlé: Where can the listeners get “Down”? Price: You can pre-order order it on Itunes and Google Play, we’re officially releasing it on May 12th. Parlé: As an artist, what do you hope to accomplish by the end this year? Price: I would love to tour for the next two years, working and meeting new people. I love being on the road, performing, perfecting myself as an artist and working with others so I can learn everything I can. That’s my goal for this year. Parlé: Have you been able to establish any connections with well-known artists yet? Price: I had an opportunity to open up for Trina and Tory Lanez but I haven’t done a record with anyone of that caliber yet. I have been able to meet people out there that are well-known but it’s been mostly through conversation and in passing. I’d like for collaborations to be genuine rather than just doing a record with someone because they’re hot at the moment or working with them will guarantee sales. I want to make sure when I work with someone, whatever we bring to that song is going to be something I’d be proud of and I’d know my fans would love. Mostly I work with in my camp because we click so well together. Parlé: Can you tell us about the people in your camp? Price: There are five artists in the camp and they have their own movement. Along with the Dion Price movement there’s Samuel Shabazz, Nado, Bria Zhanae and LB. We’re all up and coming just helping each other out. The readers and listeners who like me should look them up as well. Parlé: Who do you hope to work with one day? Why? Price: Off the top of my head, I’d have to say Kendrick Lamar and J. Cole because of their lyrical ability and just what I could learn from them. I’m a huge fan of both and I just think everything they’ve either produced on their own or been a part of is something I can feel and relate to. Parlé: You call your style ‘Pop R&B,’ why that name? Price: Pop just means popular music and that can be anything nowadays. What I’ve learned in the industry is that if you can dance to it and its trending then it’s pop, which describes a lot of my records. I think just calling it Pop or just calling it R&B doesn’t do it enough justice to understand what to expect. Parlé: What separates your music from what’s out now? Price: I use a lot of live instruments in my songs. A lot of my arrangements are set up classically like a symphony. A lot of people now are solely relying on synths, autotune or sampling. Although I do use some of those I don’t let it take away from my real music feel. Parlé: How have the fans been treating you? Price: It’s been good. I haven’t gotten any hate yet but I know its coming. It’s hard to explain the amount of love I get from the fans. When I perform for them I just want to make sure that they know they’re getting that love back and more. Parlé: What’s the more stressful part of being a paid artist now? Price: I try my hardest not to feel that way but I’d be lying if I said I didn’t. This job has many perks and benefits to it that many people want but the level of stress behind the scenes of what’s going on can be frustrating especially if you’re not used to it. The only way I can describe it is by saying imagine being in a room with like 20 people you’ve never met listening to your music, they’ve all got critiques on how this should go or how that should go. It’s all coming from a good place because they want to see you succeed but it can be stressful. Parlé: How do you cope with the stress of new found fame? Price: I stay humble to myself and others. I meditate a lot. It’s very important that I get time to myself whenever I can because I’m around so many people. On my free time, I work out and party with my peoples but I’m all about the creative process in the long run. I feel like my life is in a different cycle each month so I may have liked going out last month but now this month I’ll stay in and create. So it varies. Parlé: How can the fans get a hold of you on social media? Price: Facebook and Twitter are the same @DionPriceis. Instragram @IamDionPrice1 and on Youtube look me up on my channel The Dion Price. Parlé: Do you have any last words you’d like to share with the readers? Born in Washington DC, Adrian was placed in the care of his maternal grandparents after his mother died when he was a baby. For the most part of his life, Adrian’s biological father was absent from his life. Growing up with a house full of cousins, aunts and uncles, Adrian began his love of writing to document his surroundings. Attending a private school for 9 ½ years, it was there that many influential teachers help strengthen his love of writing via English and creative writing classes. Even though, Adrian loved to write he was reserved about what he wrote about. Leaving DC at the age of 7, Adrian and his family moved to Temple Hills, Maryland in Prince George’s not too far from where he had lived previously. Luckily, Adrian had taken part in many youth outreach programs as a youth that allowed him to travel and see the country, many kids he knew around his own age hadn’t even left the city. These experiences opened his eyes to other cultures and ways of living. As a teenager, Adrian had many friends who passed away before their time but he promised to keep writing to honor their memory. Other than writing, Adrian has helped various charities rise by going on public speaking tours. Some of these charities include The Safe Haven Project and The Journey of Hope. 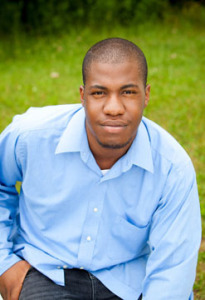 He has contributed to several book projects and currently resides in Queens, NY. Read more articles by Adrian.